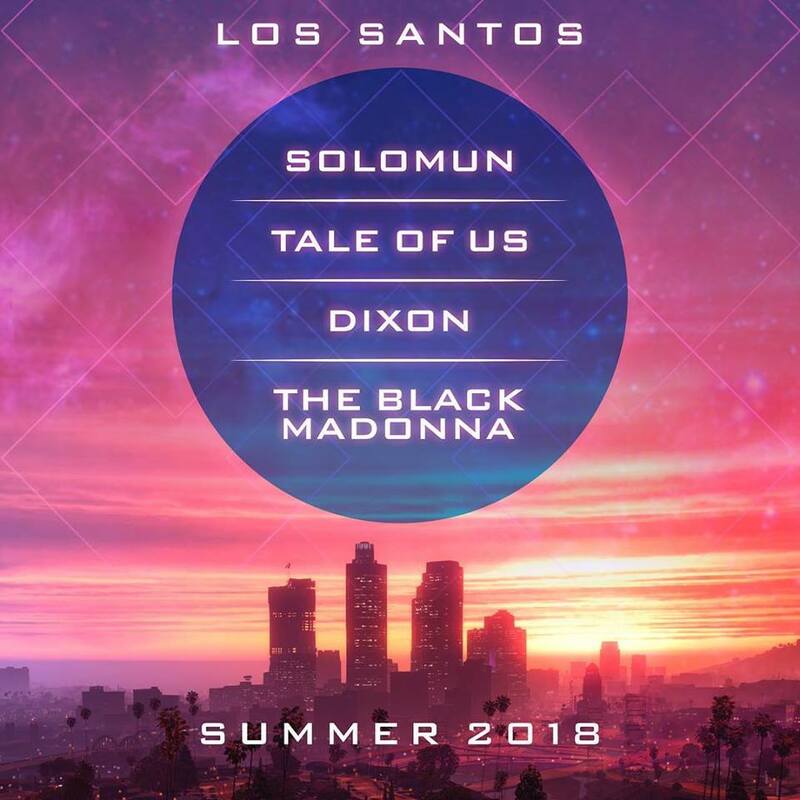 Grand Theft Auto unveils mysterious poster with Solomun, Tale Of Us, Dixon and The Black Madonna - Track? !D. 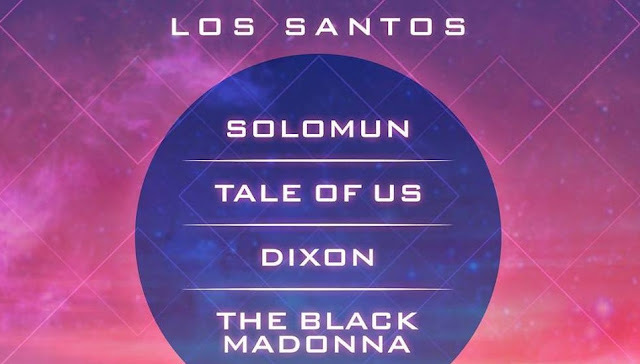 Solomun, Tale Of Us, Dixon and The Black Madonna all posted a mysterious poster on their social media accounts. The flyer contains the names of the four DJs and the words Los Santos, the fantastic city of the game's version of Los Angeles at Summer 2018. First The Black Madonna shared the poster on Twitter without any context creating a lot of questions to be answered. Is it a tour or An event? Is it a new radio stationin the Grand Theft Auto video game containing tracks by these four artists ?You can check the vivid and surreal poster below.